Davidson won’t repeat as the regular season champion. The Wildcats are 1-4 away from the Belk Arena so far, including their 97-85 loss to St. Bonaventure on Saturday. With away games still to come versus Dayton, George Washington, VCU, Richmond and Fordham, along with tough home games against VCU, Saint Joseph’s and George Washington, Davidson could lose as many as eight conference games over the next two months. A strong defense, some unanticipated player development and a favorable conference schedule means Saint Joseph’s should follow its 6-1 December with a 7-2 January. The players appear to be “getting it” — meaning head coach Phil Martelli’s approach to the game — and it shows in the Hawks’ defense and team-oriented approach to offense. St. Joseph’s field goal shooting still needs to improve, but the team is already showing up in a number of midseason brackets. If all goes well this month, February’s schedule features a handful of more difficult games that will ultimately determine whether the team is a legitimate contender for the conference title. Is the Atlantic 10 Fading? Did Feast Week foretell a conference-wide stumble? After compiling a 36-10 (0.783) record through the season’s first 10 days, Atlantic 10 teams cooled off to a still solid 21-10 (0.677) record during the height of the early season invitational tournament events. Rolling into Finals Week (an academic, not an ESPN-inspired, reference), the conference’s December results of 29-19 (0.604) show another decline. The best win in December so far — Dayton‘s 72-67 win at Vanderbilt on December 9 — stands nearly alone among the consensus top seven conferences (AAC, ACC, Big East, Big 12, Big Ten, Pac-12 and SEC). This month’s games have established that the A-10’s better squads are better than the top seven’s stragglers — George Washington has beaten Penn State (Big Ten) and Rutgers (Big Ten); Fordham demolished St. John’s (Big East); and there have been a number of near-misses. The sheer number of double-figure losses are numerous and troubling for those contemplating four or more bids come March, however. December losses that the Selection Committee may have trouble ignoring should those teams find themselves on the bubble include Richmond’s loss at Florida (12/1), Massachusetts’ loss to Mississippi on a neutral court (12/5), and Davidson’s big loss to North Carolina (12/6). 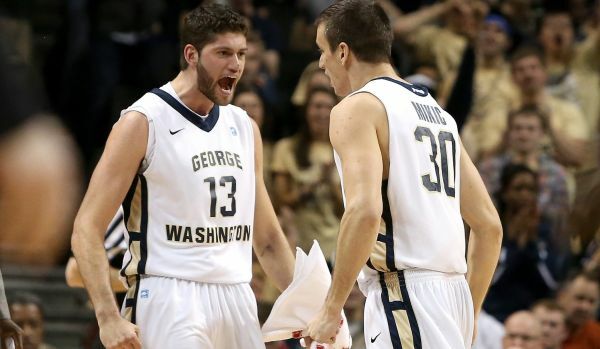 George Washington (#21 AP, 9-1) — The conference’s first team in a Top 25 poll this season (the Colonials are #22 in the USA Today/Coaches Poll) gained some national press when they knocked off ACC preseason favorite Virginia, 73-68, in their second game back on November 13. A five-point loss to #23 Cincinnati in the Barclays Center Classic championship finals remains their only blemish. The Colonials’ resume is heavily sprinkled with teams from the top seven conferences –Tennessee (SEC), Seton Hall (Big East), Penn State, Rutgers (Big Ten) and South Florida (AAC) — all wins. 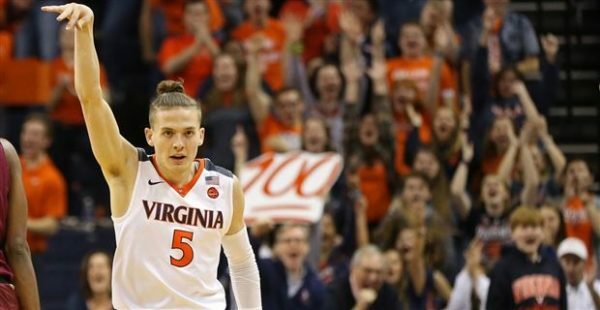 Virginia and Cincinnati are favored to hear the call come Selection Sunday; Tennessee and Seton Hall may find themselves in the conversation by the end of February. 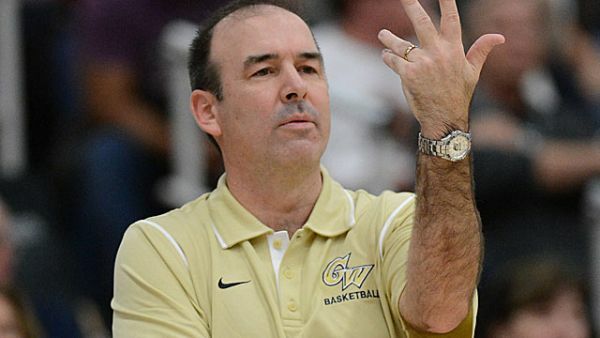 With St. Peter’s (NEC) and two more lower division top eight conference teams (Central Florida — AAC and DePaul — Big East) still to play, coach Mike Lonergan’s squad should start their conference slate with a 12-1 record … and a target on their back. With St. Bonaventure’s 77-73 win over Canisius last Tuesday, the Atlantic 10 pushed its non-conference record to 44-11, pushing its winning percentage over 80 percent for the second time this season. 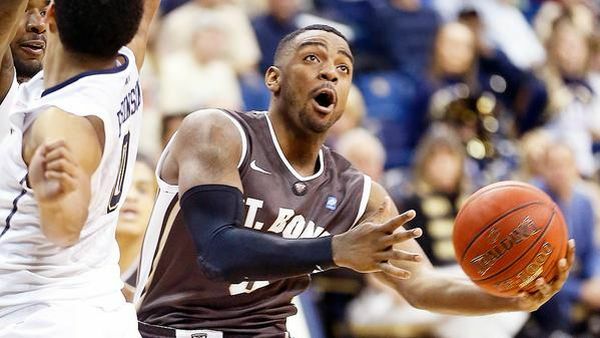 Senior guard Marcus Posley scored 37 points, including the two free throws that broke the tie that put the Bonnies up for good. So started Feast Week, but unfortunately momentum stalled as A-10 teams tallied a good but not spectacular 21-10 record in games spanning the Thanksgiving Holiday. Still, the league’s composite record on Monday, November 30, is 58-20 (0.774) — terrific by any measure. 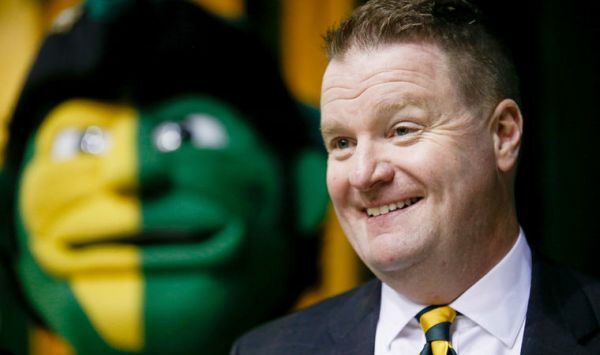 Should the conference keep up this pace through December, the Atlantic 10 should have at least six NCAA Tournament candidates with several others drawing attention for other postseason tournaments. Seven conference teams (highlighted in the table in yellow below) participated in tournaments that concluded last week. Four of those teams (Dayton, George Washington, Massachusetts and Rhode Island) finished second. Richmond finished third, losing its semifinal game but beating star-studded California in the third place game. Duquesne placed fifth in the Gulf Coast Showcase, dropping its first game to Pepperdine but salvaging wins versus Wisconsin-Milwaukee and Western Kentucky. Like most of these Feast Week tournaments, the Brooklyn Hoops Classic relied on preliminary rounds played on campuses, usually prior to the semifinal and final rounds. The tournament field was held to five teams and they played a round-robin with a single round played at two “tournament site” locations. St. Louis beat three of the participating schools — North Florida, St. Francis-Brooklyn and Hartford. They also lost to Louisville by 20 points at the Barclays Center in Brooklyn. Runs. 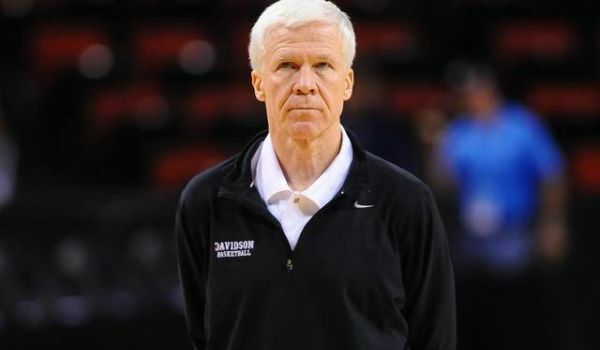 With 8:47 left in the first half, Davidson head coach Bob McKillop subbed senior Tyler Kalinoski back into the game, already with two fouls. Twenty-seven seconds later, with Iowa’s senior Aaron White attacking the hoop for a layup, Kalinoski picked up his third foul. Over the next four-plus minutes, Iowa went on a 16-4 run and built its lead to 15 points. Davidson closed the half strong and opened the second half well to narrow things back to within six. With another big 18-3 run, Iowa put away the Wildcats for good and earned the Hawkeyes their first NCAA Tournament win since 2001. The final stats for the second half show a scorching 39-14 run to close out the game. Size and Efficiency. Davidson’s tallest player who earns significant minutes is freshman Peyton Aldridge at 6’7”. They’ve been beaten up on the glass regularly this season as a result, and they don’t even try to hit the offensive glass so that they can get back and set up their defense. Iowa’s frontcourt was one of many big differences tonight. They grabbed 41.2 percent of their offensive rebounding opportunities, scored 13 on second-chance points and outscored the Wildcats by 10 points in the paint. As McKillop put it after the game: “Their length and efficiency really affected us.” As for efficiency, is 1.297 points per possession any good? That’s not a trick question — the answer is yes, it is very good. Davidson simply couldn’t find a way to get a stop, and as a result, the Wildcats couldn’t get their transition offense going. “It certainly wasn’t our objective to have a slow-it-down, grind-it-out kind of game,” said McKillop, “but in order for us to get points on the fast break, we had to get stops.” And as McKillop acknowledged, they couldn’t do it. Live By The Three… Davidson was ninth in the nation in taking the highest percentage of three-point shots as a ratio of their field goal attempts, and they’d made 39.3 percent of their threes on the year. Tonight, it just wasn’t happening. They hit just 6-of-28 attempts from deep on the night (21%) and, as a result, the Wildcats were never seriously in contention.